Then she made...: Easy Peasy Lemon...Cookies? 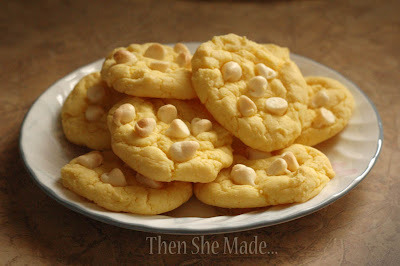 Ok, I don't know if I should admit this but these are hands down my family's favorite cookie! My hesitation in admitting it is because they are so easy it really feels like I'm cheating when I make them. 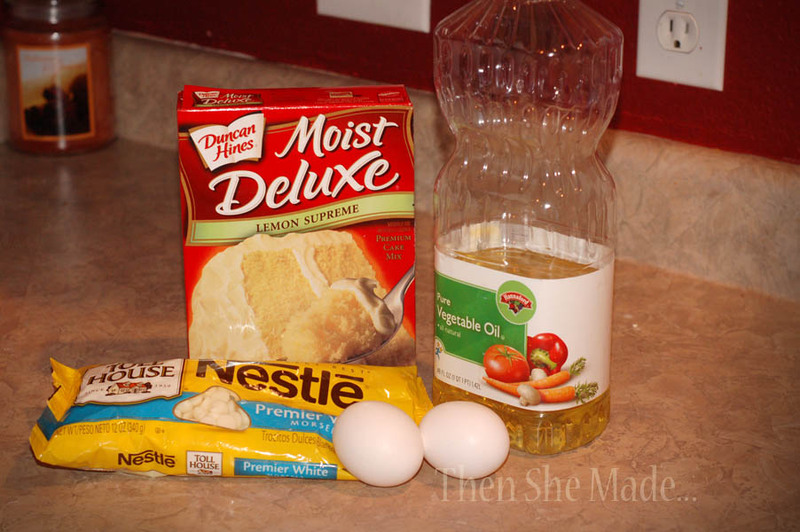 You need only 4 ingredients. Then take small spoonfuls and drop on to a cookie sheet. I drop it then go back and shape them into balls but you could just drop them and leave them that way. 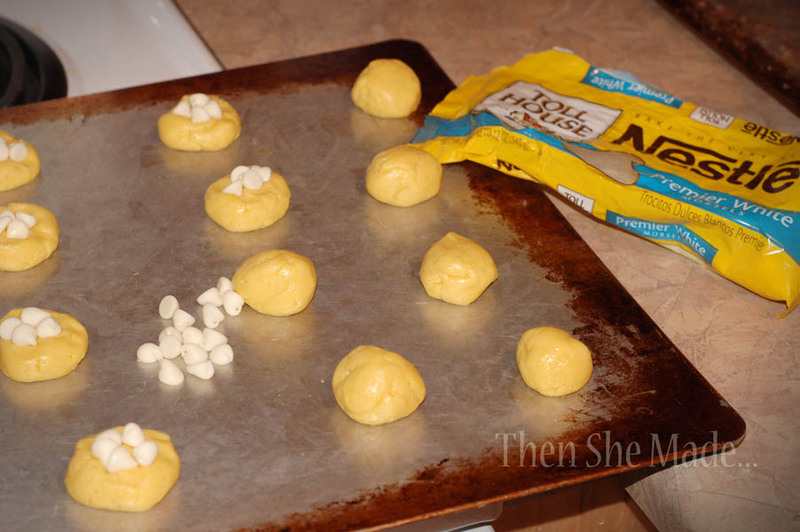 Then I take my white chocolate chips and add a little pile to each cookie. So, I know you are probably wondering why I don't add the chips to the dough in the bowl. You can. I've done it that way before however the dough is stiff and the chips don't stick well so I prefer to add them individually. Plus, I like to think of them as little birds nest, I mean seriously, isn't that what they look like? 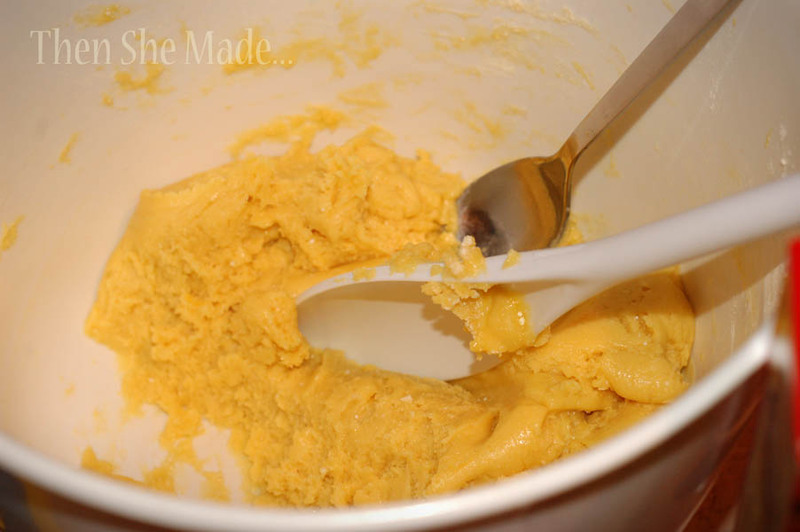 I am going to go buy Lemon Cake mix today for a cake experiment(I explained today on my blog)...You are totally reading my mind!!! I never met a cookie I didn't like!!! OMG! SO glad you admitted to it!!! My kids love cookies they can "make from scratch" all by themselves! You totally rock for sharing!!! Amazing!! So easy and SO good! !